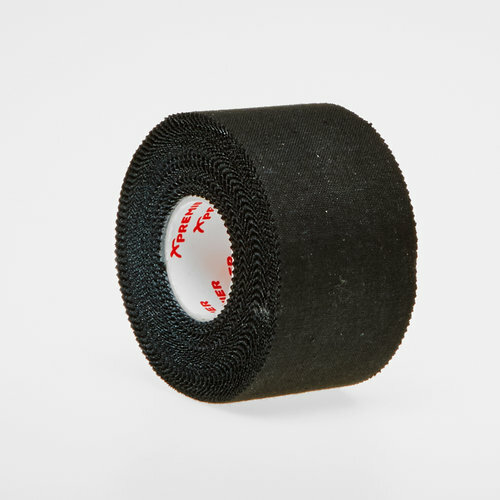 Strong and highly adhesive, Zinc Oxide Strapping Tape in Black is ready to tackle and stick to any action. Soft and supple, zinc oxide actually has one of the highest tensile strengths in the market so you can be assured of great results with every application. It even pulls off the roll smoothly so there's no wastage and it all goes to good use. Best suited for non-stretch support when limiting or immobilising movement, with a wave grip grip adhesion then not only does it come with plenty of breathability but also allows for quick application when you need to tape up in a hurry. Hypo-allergenic and latex free, with 13.5m in length from the cotton material then there's plenty of tape to go round.